I have problem with Raspberry Pi-3. When I plug on power cable led lights with red and nothing heppens. I see wrong element on the board. What is the element? Сould this be the cause of the malfunction? This Pi worked before, and flash card works on the another Pi. This element is labelled L3, suggesting that it's an inductor. It's OK for it to be black and have a slightly non-uniform color. If you can reach the pads with a multimeter, you could check that it conducts in both directions, with a typical resistance in Ohms or tens of Ohms. Of course, testing an element in-circuit can give false results, but getting such a small part off the board for inspection is difficult and risky. If you want to diagnose your RPi, I would start by measuring the voltage on 3.3V pins. If you don't see the right voltage, your board may have an issue with the overcurrent protection or the voltage regulator, which could theoretically be fixed. Not the answer you're looking for? 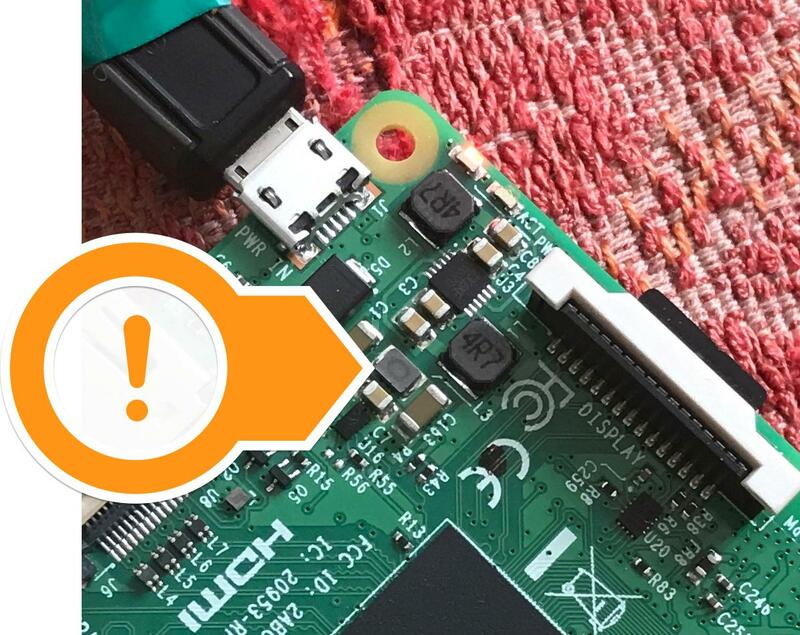 Browse other questions tagged pi-3 hardware boot-issues led electronics or ask your own question. Red LED blinks twice on boot with 5V/5A power adapter!